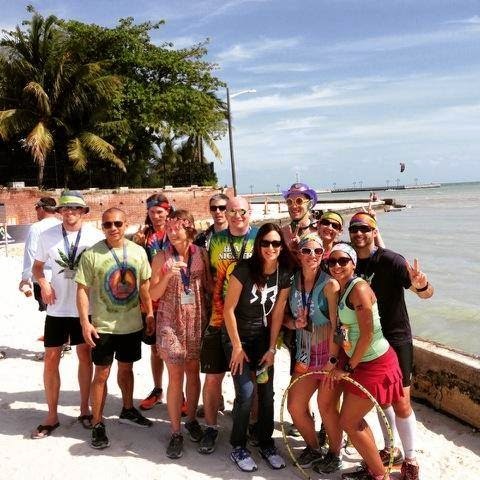 Running Toward Domestication: Ragnar Relay, Florida Keys! 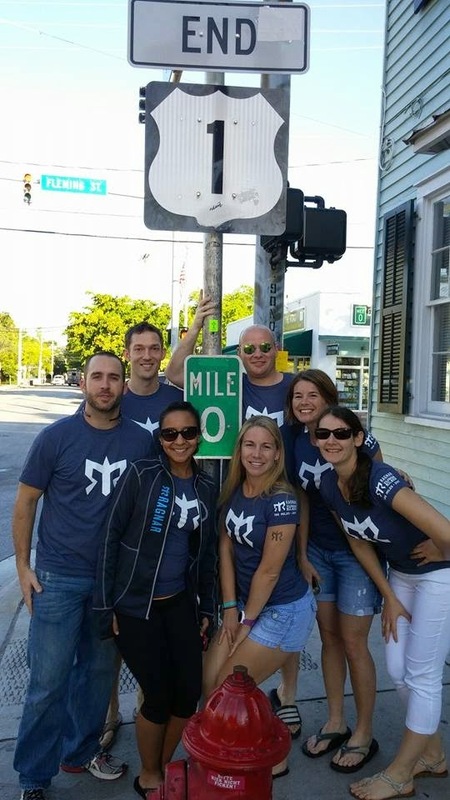 We had massive amounts of communication before race weekend about our team theme (we were the peace-making, hippie runners), packing lists and familiarizing all us rookies on how the weekend would flow. I didn't realize all of the planning that went into an event like this! 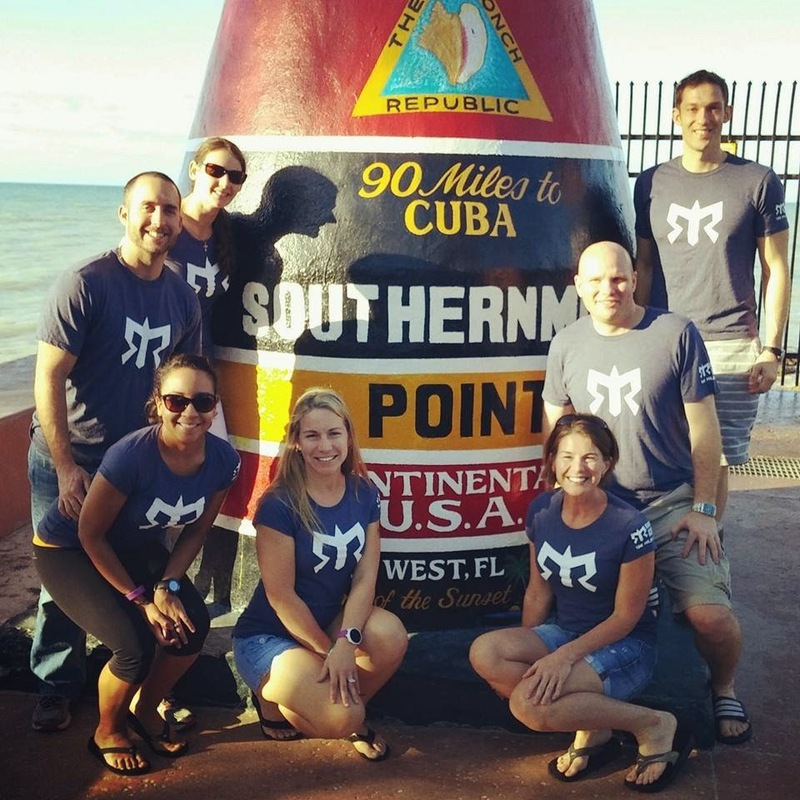 On Thursday morning, we met up with our team in Brandon, loaded up our 2 vans and headed south toward Miami. 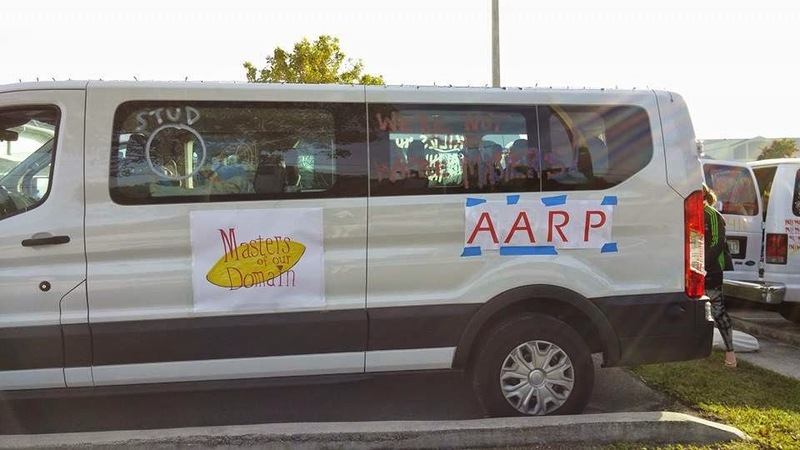 After a few pit stops along the way, we finally made it to Hialeah around 5pm where we checked into our hotel and started decorating our vans! Brad and I were in van 2. Then, we headed to a local Cuban restaurant for dinner where we carbo-loaded on rice and ate amazing traditional meals. For those of you who don't know, I was born and raised in Miami (12 years) and both of my parents are of Colombian descent. All variations of hispanic food was a staple of my childhood and my grandmother owned a food truck in the 90s which I'm pretty sure had white rice and black beans accompany every meal. Nowadays, I don't eat enough hispanic food and my husband says I don't cook nearly enough hispanic meals. On Friday morning, we started bright and early. We checked-out of our hotel and headed to the start line around 8am. 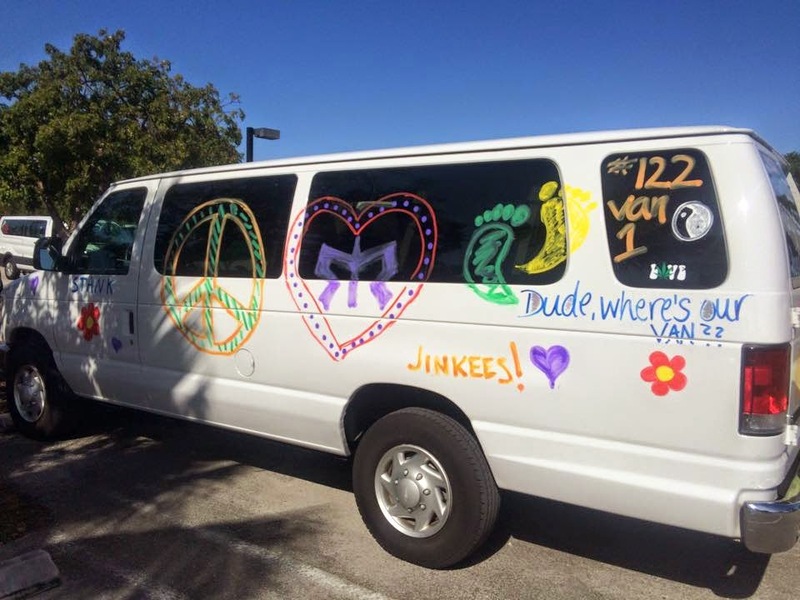 Van 1 was slated to begin running at 10:30am and they took off like lightning! By 9am I was already starving so you could imagine the surprise when I asked our van 2 captain to stop for some real food once we saw van 1 take off. This line "I am hungry" was repeated many times again and again throughout the remaining 27 hours til completion. Although we had coolers packed with water, gatorade, fruit, snacks and even uncrustables (those yummy little pb&j sandwiches they sell in the freezer section), those were not nearly hearty-enough to keep my stomach from rumbling every 3-4 hours. So, off to Publix we went! I downed a Publix chicken tender sub (ohemgee YUM! ), some chicken potato salad and a baked potato soup. I was stuffed and ready for my running to begin! My leg #2 was even better than my leg #1! It was a pretty nice 4.4 miles on a flat bridge where I passed lots of people. I took my hydration belt again just in case and I finished with an 8:57 pace. I was very happy with my run. It was so dark outside that it wasn't log before I jumped back in the van and fell asleep (I know, I was a sucky team-player for all of the sleeping I did). Then, van 2 started our last leg (#3) around 10:30am. Brad's leg #3 was only 2.7 miles. He started running around 11:30am and we were both so lucky that the clouds came out for both of our runs. He averaged around 8:10 pace and did his last "hand off" to me where I ran 1.8mi at 8:35 pace. I hope that no official Ragnar judgers read my little-ole blog because I am about to make a confession. I am pretty sure that in my last leg, I was supposed to make a right turn to achieve an extra 0.2 miles for my leg (which I failed to do because I followed the person who was trying to pass me - who also failed to run the extra 0.2 miles). I thought it was a little weird when I saw a random girl jump on the course from a side-street, but I was trying so hard to focus on not letting so many people pass me (I was getting passed left and right) that I forgot to take a right turn. Oops! I was able to pass a girl who looked like she was giving-up in the last quarter mile. I sprinted as quickly as I could to achieve that last "kill" (i.e. you achieve a "kill" when you pass a runner in your leg). 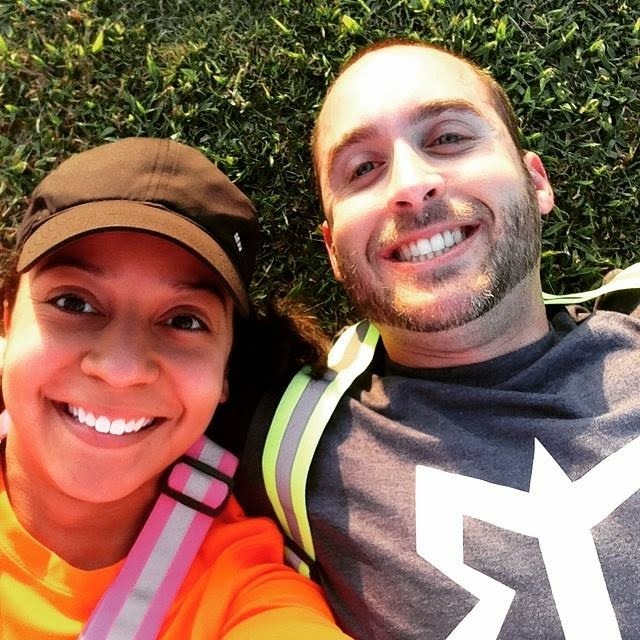 All of the runners in our van 2 were amazingly supportive, ready to give each other super cold water, gatorade and orange slices and every opportunity. 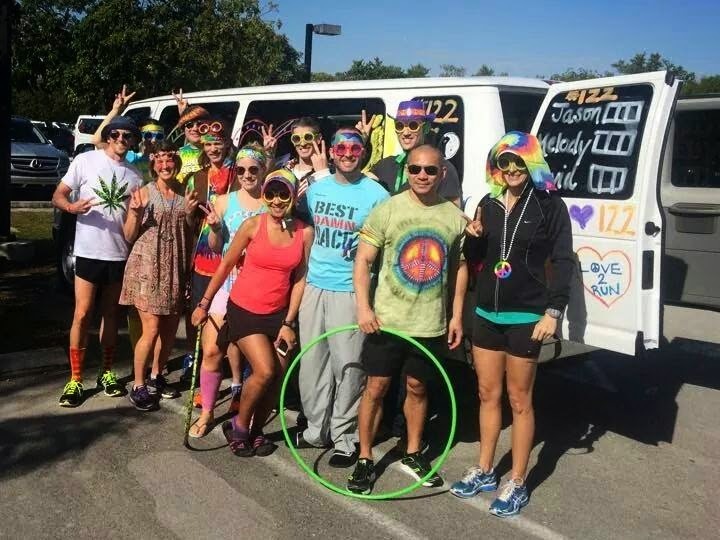 I couldn't have asked for better van 2 teammates! We finally finished the race around 1pm with a total tile of 27 hours and 11 minutes. The "old guys" beat us by about 40 minutes. But nonetheless, we had an amazing race where we finished on the beach! (P.S. that last 0.1 mile to the finish line, running in the beach sand was awful - my legs were dying for an entire minute). 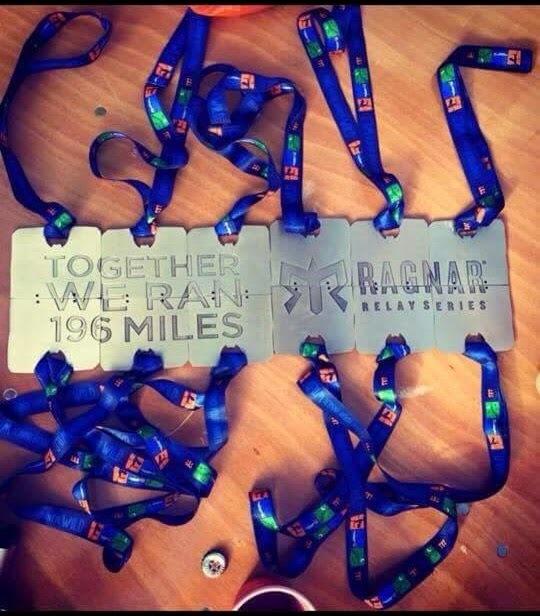 I hope that every runner gets a chance to run a Ragnar race. It was an amazing experience that I would totally do over and over again (eat, sleep, run, eat, sleep, run)! If you do, remember to take the Monday-after-the-race OFF from work so that you can lounge in your PJs and recover from the weekend!